Here’s a list of Network tools for the Linux admin whose only resources are a keyboard, a terminal and whatever brains they can muster. No GUI’s here people. These are all tools I’ve found invaluable or at the very least, super cool to play with. 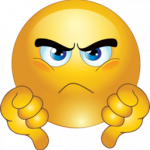 Who hasn’t watched movies like The Net or Live Free or Die Hard and thought, “That’s awesome. I wanna do that.” Pwn with the terminal I mean, not kill people. Killing is only okay if you’re John McClane and only to save airports or Japanese owned buildings. RIP Hans. If you’ve got some tools you want added to the list or totally hate my choices, you can quietly stew or comment below. A tool I’ve used for years that gives a great real-time look at the traffic traversing your interfaces. You may go blind from the bright blue ncurses interface, but it does provide great general and detailed breakdowns which can even be filtered by port and packet size. 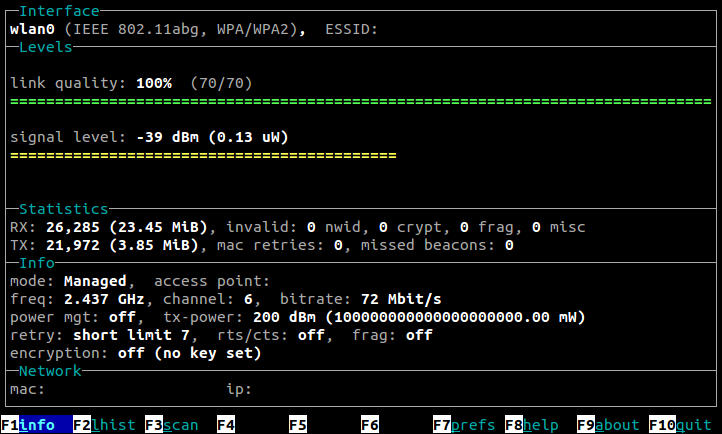 IPTraf is a handy to tool that can quickly tell you how your bandwidth is being used. Similar to IPTraf, NetHogs provides a look at all of your traffic, but with a much simpler interface. Your traffic is actually broken down by process instead of by port or protocol. This is helpful when trying to gauge the bandwidth use of say a Apache. Unfortunately, the latest version of NetHogs in the stock Ubuntu repositories is broken. You can however add the 3rd party repository, ppa:nicola-onorata/toolchain, which provides a newer, working copy of NetHogs along with the necessary dependencies. Wavemon is a wireless analyzer that gives you detailed information on your wireless connection including link quality, SNR(signal-to-noise ratio), traffic stats and just about anything else you can think of. It can also scan for available wireless networks and sort them based on signal strength. You’ll be hard-pressed to find a more comprehensive and easy to use wireless tool. 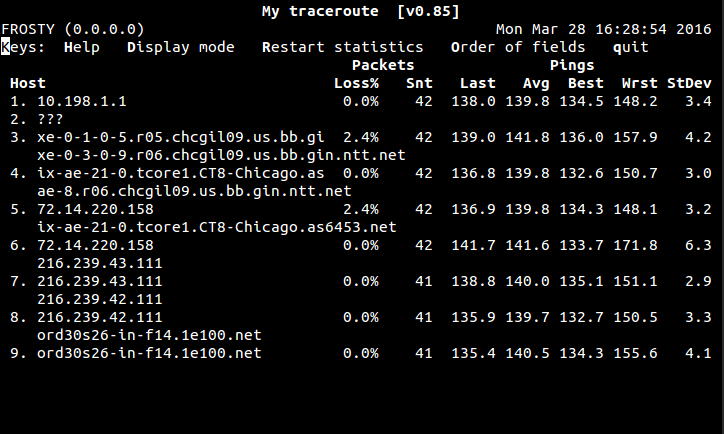 Another of my old favorites, initially called Matt’s Traceroute and later renamed My Traceroute, mtr is a combo tool that traceroutes while continually pinging every hop along the way. This is a great tool to help you troubleshoot network outages as it shows you exactly where in your network path problems are occurring. With multiple views, options and the ability to view latency at each hop, this is an invaluable tool for any tech. There’s even a Windows version for you poor Microsoft admins. Nmap has been around a long time and has even been shown in “Hacker” movies like The Matrix Reloaded and the original Swedish version of The Girl with the Dragon Tattoo. 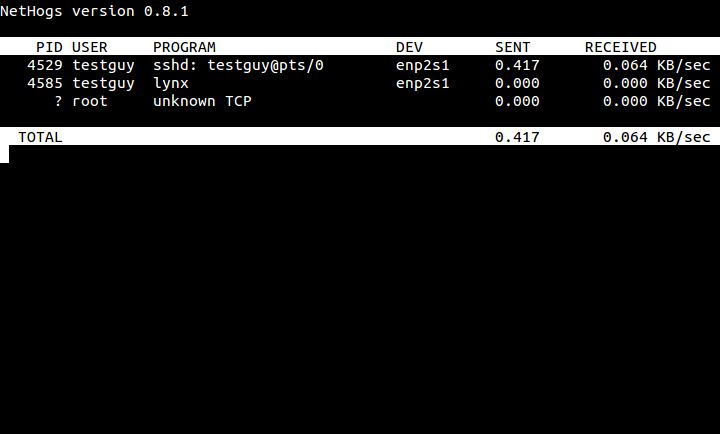 For those not looking to take over the world or funnel millions of dollars into an untraceable account, Nmap is a port scanner that can be used to check for vulnerabilities, identify a machine’s OS and services or even see if an IP is in use. 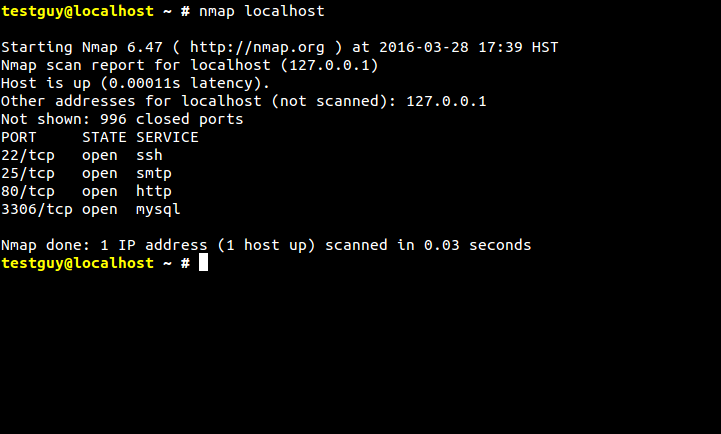 There are hundreds of legitimate and useful ways Nmap can be used, but just make sure you have the permission of whomever you’re scanning. Most IDS systems will pick up an Nmap scan and you may have some major ‘splainin’ to do if you decide to have some fun at work. Has anyone ever given you a subnet in bit form and you’re stuck wondering how many IP’s are in a /14? That’s where ipcalc steps in and saves the day. Whether you’re looking to find out how many IP’s are in a subnet or what your Broadcast address is, ipcalc will quickly and effectively answer these and a lot of other questions for you. I use ipcalc whenever I need to carve up a large subnet into smaller network segments. Why think when you have a calculator? 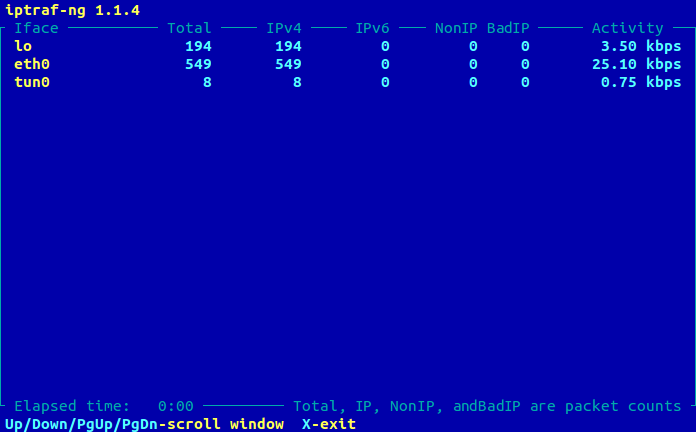 *Note: In a future post I’ll show you a few tricks to easily calculate your subnets when you don’t have ipcalc handy. If you’re a network admin, there’s going to come a day where your going to need to console into something. While most modern network devices come with a web interface, the fallback or in some cases the only way to gain access to the device is via serial port. It’s 2016 and for some reason this port just won’t die. Even the cheaper lines of Cisco switches only come with a serial port. When that day arrives, Minicom and a USB-to-Serial adapter will become your new besties. 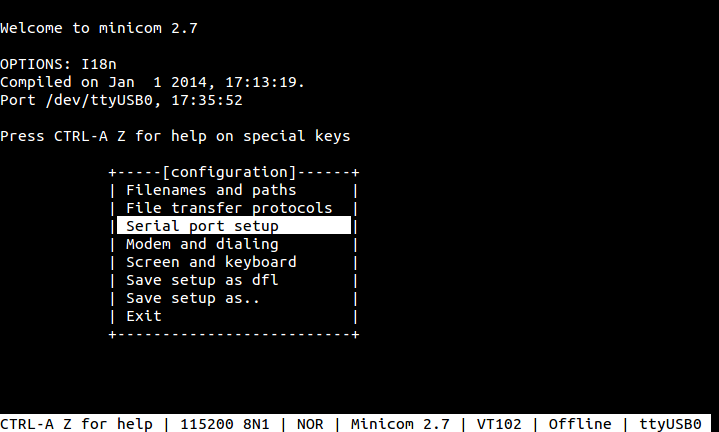 Much like Microsoft’s HyperTerminal which is no longer included with Windows, Minicom is a terminal emulator which will allow you to console into devices at blazing 1980’s modem speeds. 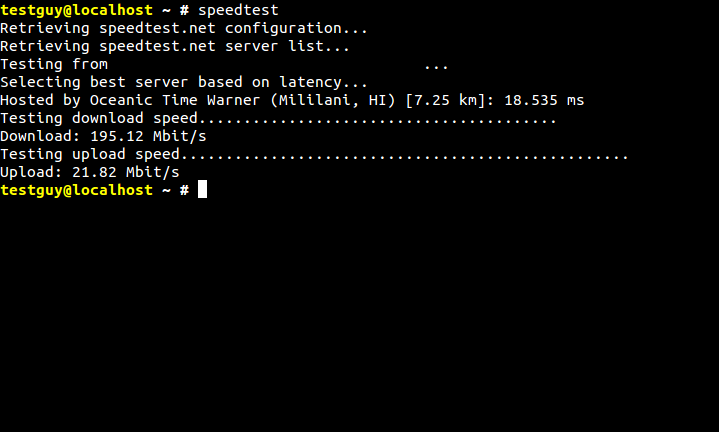 speedtest-cli is the command-line version of Speedtest.net. It uses the same servers as the well-known site and by default will select the server closest to your location. It also allows you to list all of the available servers and select one of your choosing. A tool I’ve only stumbled across recently that I’ve already used a bunch of times to troubleshoot speed issues. 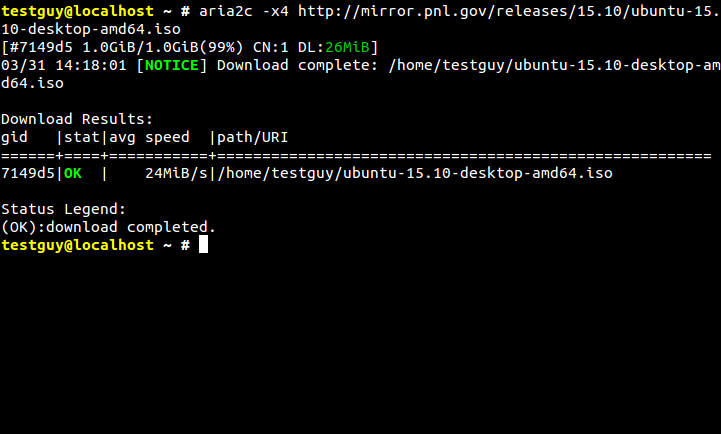 Another tool I’ve found fairly recently, aria2 is a download manager for the command-line. Most Linux admins are familiar with wget as the go-to file downloader. While wget has the ability to continue failed downloads, aria2 goes one better and actually allows you to run simultaneous downloads of the same file. This comes in handy when servers put speed limits on individual connections. If that wasn’t awesome enough, it can even function as a full-blown Torrent client with support for Magnet URI’s. I haven’t tested this feature out yet, but if I’m ever on the road and just can’t wait to download whatever torrent is legal these days, I know aria2 has got me covered.